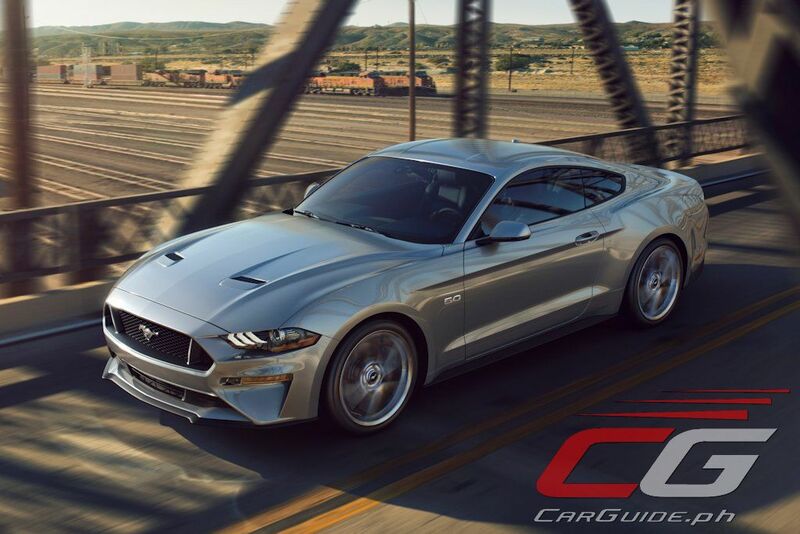 The Mustang, the world’s best-selling sports coupe gets a host of improvements that make it the most advanced Pony Car from Ford ever. The improvements include more powerful engines, better handling, and a host of both technological and aesthetic improvements to offer even more customization to Mustang owners. At the Mustang’s core though is performance and the 2018 model offers a heightened level of it. For handling, it has new shock absorbers for better ride control while a new cross-axis joint in the rear suspension increases lateral stiffness. New stabilizer bars also bring sharper response and handling. 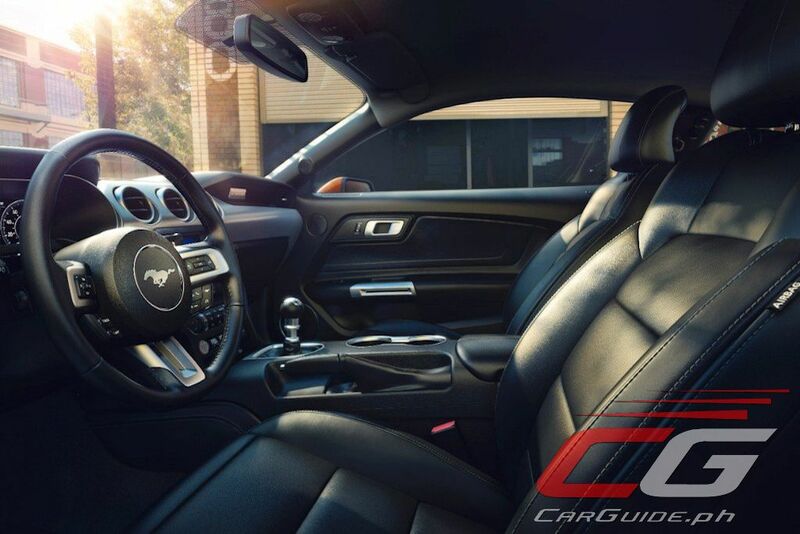 In addition, optional MagneRide damper technology is offered with the Mustang Performance Package that optimizes ride and handling in all situations. The 2.3-liter turbocharged 4-cylinder engine offers outstanding performance over the outgoing V6 engine. For 2018, the EcoBoost engine now has Ford’s transient overboost technology that increases torque delivery during wide-open acceleration. 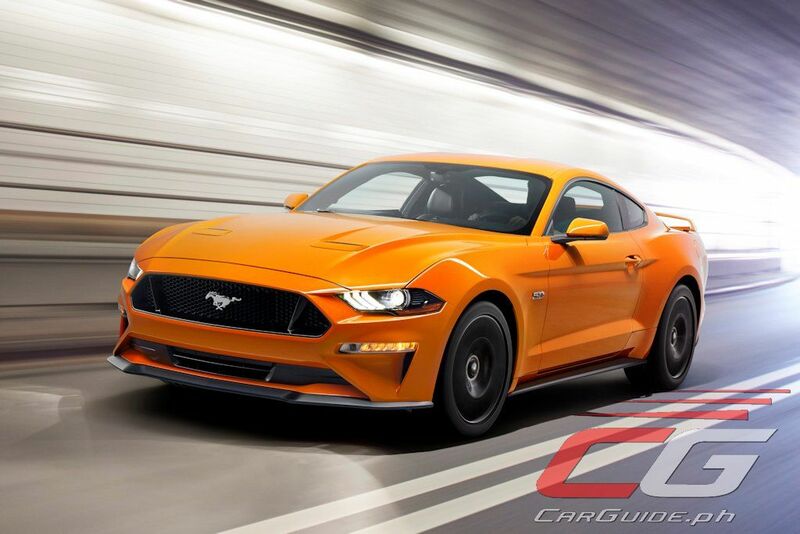 Meanwhile, Ford’s 5.0-liter V8 engine has been thoroughly reworked. 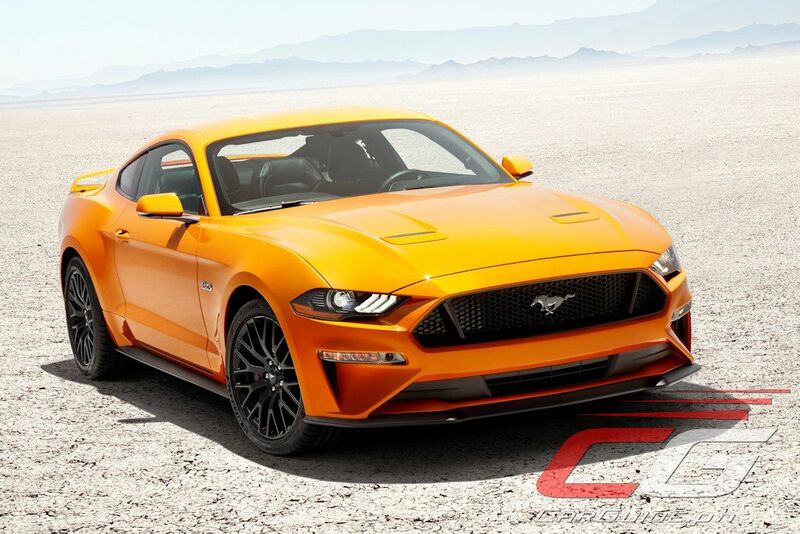 It is more powerful and revs higher than any Mustang GT before. 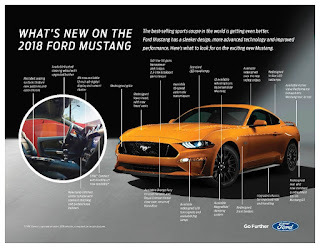 The power increase is thanks to the Mustang’s new dual-fuel, high-pressure direct injection and low-pressure port fuel injection. This delivers robust low-end torque, high-rpm power, and improved fuel efficiency. 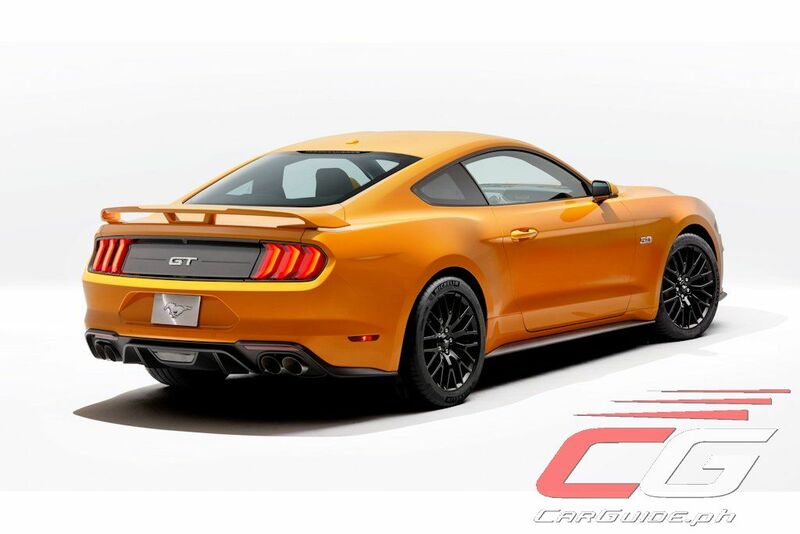 Also new for the Mustang GT is the availability of an active valve exhaust system. The manual transmissions for both engines have been upgraded. For the V8, the re-designed transmission now has a twin-disc clutch and dual-mass flywheel to increase torque capability and better clutch modulation. Meanwhile, a 10-speed automatic transmission is also available. This gearbox offers a wide ratio and optimized gearing for higher average power for acceleration, improving responsiveness and performance. Compared to the previous 6-speed, the new 10-speed transmission has quicker shift times, better low-speed tip-in response and significantly reduced friction losses. The all-new electronic control system includes unique tunes for different drive modes and features real-time adaptive shift scheduling to ensure the right gear at the right time. Steering wheel-mounted shift paddles gives drivers maximum control. 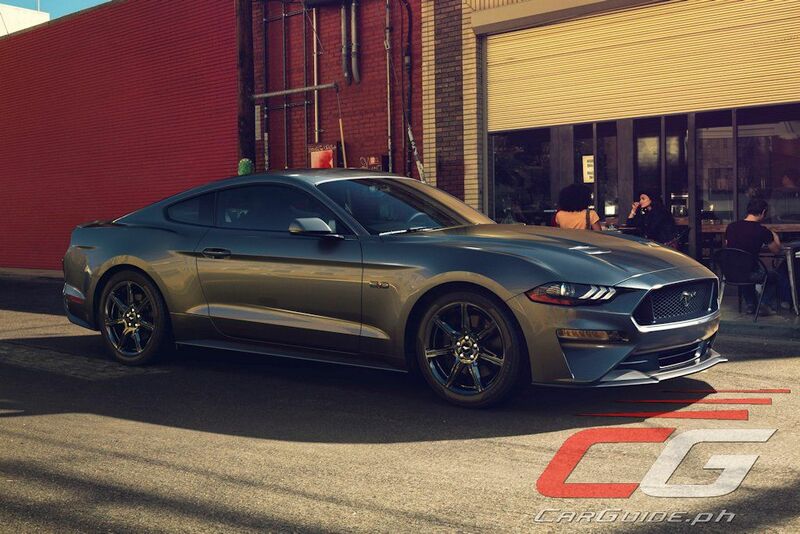 For 2018, the Mustang’s design is decisively more athletic with a lower, remodeled hood and grille that helps create a leaner look. It also features a new position for the hood vents. 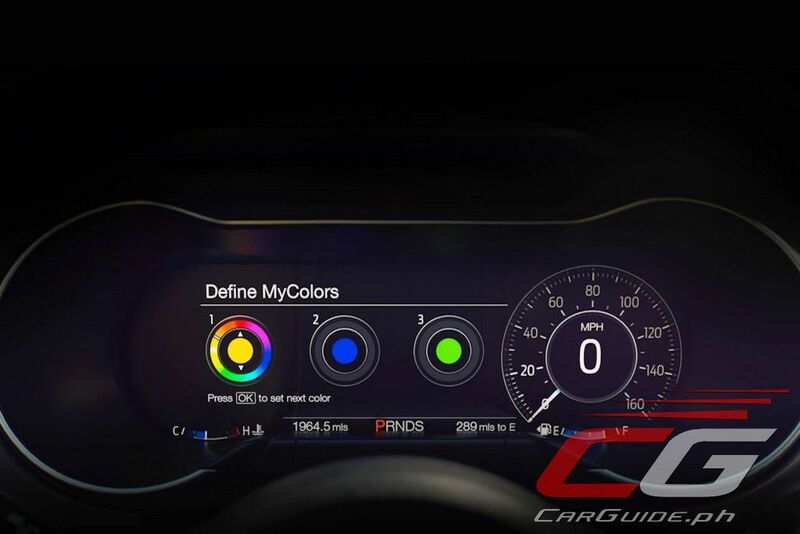 The Mustang also features an all-LED front lighting system for the first time. This includes the signature lighting, low beams, turn signals, high-beams, and front fog lamps. The rear also gets revised with new LED tail lights, bumper, and available spoiler. 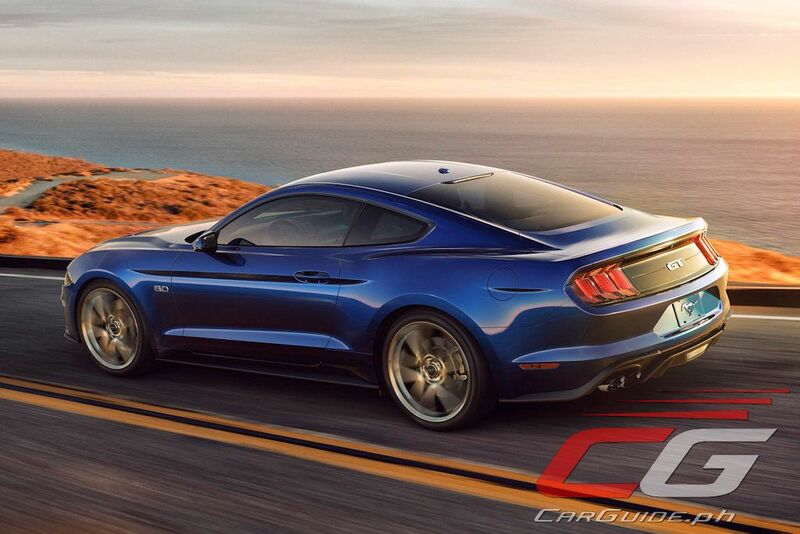 The EcoBoost Mustang is easily spotted thanks to the dual exhaust tips while the Mustang GT gets quad-tip exhausts. There are also a dozen available wheel choices including the new signature Orange Fury color. 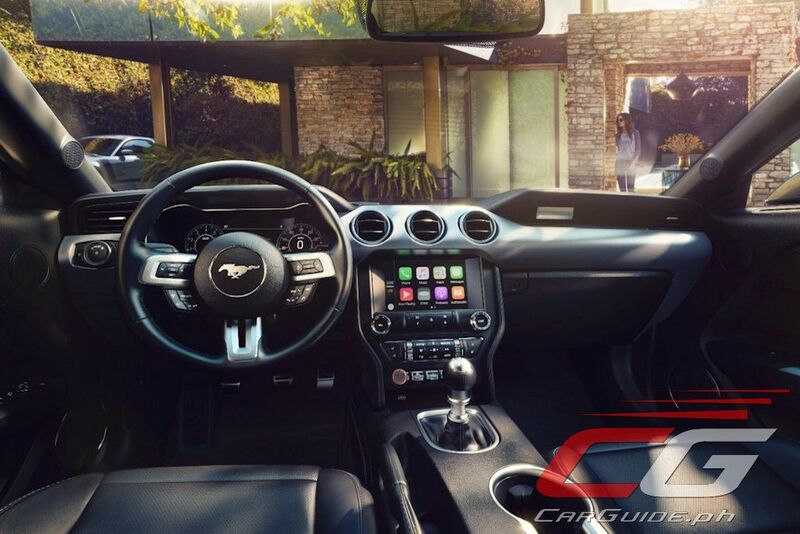 And for the first time, Mustang benefits from a vast array of Ford driver-assist technology. Customers can feel more confident than ever behind the wheel with new features like Pre-Collision Assist with pedestrian detection, distance alert, lane-departure warning, lane-keeping assist, and Driver Alert System. With a history spanning more than 50 years, the iconic Ford Mustang is undoubtedly the best-ever. It goes on sale in the US by the third quarter of this year with the rest of the world, including the Philippines to follow soon thereafter (likely around 2018). The Mustang just got awarded a TWO STAR safety rating from NCAP, making it the most dangerous car from a mainstream manufacturer since 2012! THis should be more widely known. You'd be much safer in a Fiesta! The re-design is partly to address the issue of safety. It will be re-tested in May with the new safety features.